Un Corridoio – Una Strategia! 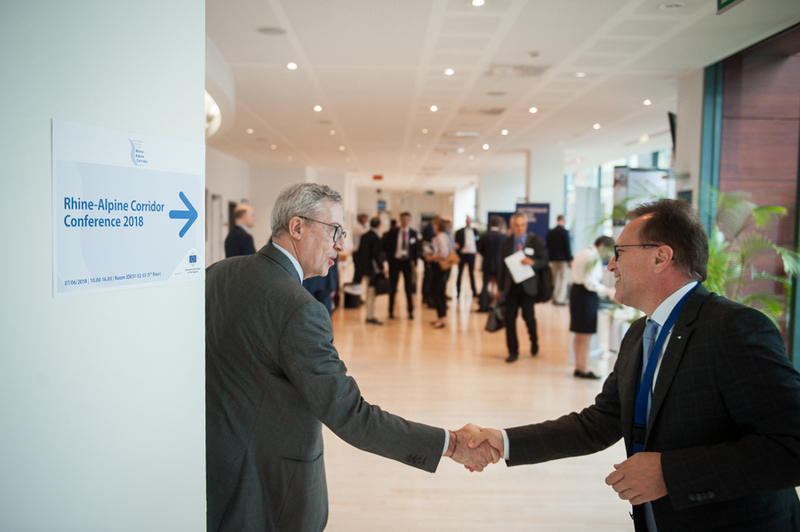 The 1st Corridor Conference of the Interregional Alliance for the Rhine-Alpine Corridor EGTC took place on 7 June 2018 in the premises of the Committee of the Regions in Brussels. 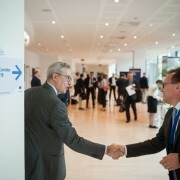 120 participants listened to 30 speakers and discussed varied issues in 5 thematic workshops: The Chinese Belt and Road Initiative, the future priorities for the development of the Corridor, the results of CEF-funded project „European Rail Freight Line System“, experiences with the legal form of a European Grouping of Territorial Cooperation and a visionary workshop. After the workshops the political plenary session gathered panelists from academia, industry and politics discussion. Two keynote speeches from the EGTC Chair Conny Bieze and Corridor Coordinator Pawel Wojciechowski set the frame for the panel dicussion. 5 panelists discussed about joint efforts for shaping the future of the Rhine-Alpine Corridor. As a main result, the Conference underlined the importance of a joint and coordinated development of this important European Corridor. The EGTC was again recognised as the voice of the local and regional level of the Corridor, whose ideas, activities and committment were appreciated once more. New Chairpersons Elected Rhine-Alpine Corridor Conference 2018 – Presentations Online!